After studies at Oxford and teaching in Ghana and the UK, Simon has spent a career working in international development. He has directed UK Department for International Development (DFID) programmes in Africa and Eastern Europe, working with governments, civil society, multilateral institutions and other donors. Over the years, he has helped to develop systems for improved project design, management and assessment and led the launch of the UK Government’s Extractive Industries Transparency Initiative in 2003. 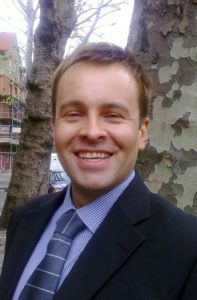 Simon has worked in the European Commission in Brussels and was, most recently, on the Board of the European Bank for Reconstruction and Development, an international financial institution that supports projects from central Europe to Central Asia. Tina is currently the Head of Fundraising for a health charity called the Lullaby Trust. After completing her Masters in International Studies and Diplomacy at the School of Oriental and African Studies (SOAS), she worked for numerous charities, most recently UNICEF where she lead on Individual Giving and the British Heart Foundation where she was the Senior Fundraising Marketing and Development Manager. Her expertise lies in developing individual giving programs, campaigns and community fundraising. Originally from Slovenia, she grew up in the Middle East and is very interested in development issues in Eastern Europe and Asia. She supports many development charities, and is very passionate about human rights. She is extremely excited to have joined the HealthProm team and is looking forward to helping them grow and deliver their mission. Olga joined HealthProm in 2019. She has over 20 years of senior professional experience with the International Federation of Red Cross and Red Crescent Societies (IFRC) in different settings, roles and countries. These include Head of Office of the IFRC in Turkmenistan; Head of Region in the British Red Cross covering Eastern and Central Europe, Central Asia and South Caucasus, Mongolia and Afghanistan; Head of the IFRC Delegation in Kyrgyzstan; and Head of the IFRC team in Ukraine. In 2013, she joined the IFRC Regional Office for Europe in Budapest as an Advisor in the area of strengthening financial sustainability of national Red Cross and Red Crescent Societies through building domestic resource mobilisation programmes. She has been in her current role as Head of Partnerships and Resource Development covering Europe and Central Asia since 2015. 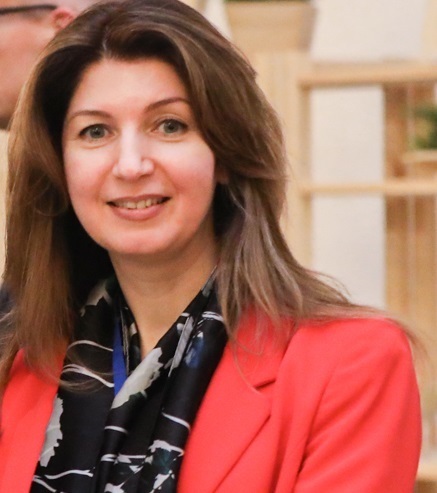 In addition to her expertise in resource development and mobilisation, Ms Dzhumaeva also has strong experience of managing large operations and programmes in areas such as tuberculosis prevention and control, HIV prevention, the needs of older people, women and children and complex disaster response. Olga spent 10 years in commercial Human Resources before establishing one of the first specialist recruitment agencies offering services to the charity sector. She subsequently ran this for 20 years, becoming one of the most highly regarded head-hunters in the field. She specialised in board level roles and set up one of the first salary surveys in the sector. In 1995, together with the HR Directors of the National Society for the Prevention of Cruelty to Children (NSPCC) and MENCAP, she started the HR Forum – a membership organisation for charities that is now managed by the National Council for Voluntary Organisations (NCVO). 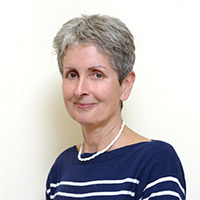 Olga served as Trustee of Sightsavers from 2001-2009 as well as the Institute of Fundraising from 2003-2009. 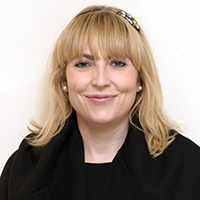 She chaired the Nominations Committee for the disability charity Scope from 2007 to 2011, working closely with the Chair and CEO to undertake skills audits of the Board and recruit new Trustees. In addition to HealthProm, Olga is also a Trustee of the charity SPANA, as well as Chair of the Nourish Community foodbank. 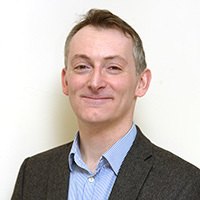 Joe has a professional background in academic research and university teaching, having previously worked as a social care practitioner and manager. He is currently Research Manager for Scottish Autism where he is leading a number of collaborative projects focused on improving support practice. 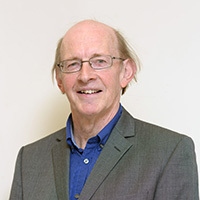 He is also an Honorary Research Fellow at the University of Aberdeen and Associate Editor of the journal Good Autism Practice. A social anthropologist by discipline, Joe has a longstanding interest in Russia and Inner Asia. He spent several years undertaking field research in Southern Siberia, working mainly within indigenous Buryat communities. He studied at Hull, Cambridge, and Indiana before earning his PhD from the University of Aberdeen in 2010. He was subsequently a Research Fellow at the Max Planck Institute for Social Anthropology in Germany and has taught at the Universities of Tuebingen and Halle-Wittenburg. Dan has worked across the voluntary sector in a range of communications and management roles including at Mencap, The Blue Cross, the National Deaf Children’s Society and, most recently, as Chief Executive of the charity No Smoking Day. He is currently the Director of Communications and Emergency Response for SPANA, where he has built a new department which has significantly increased the profile of the charity through media relations, digital communications and publications. Olena joined HealthProm as a Trustee in 2017. She currently works in health policy research, managing a portfolio of projects supported by the UK Department of Health. She has extensive experience in international development, human rights and education and previously worked at the Open Society Foundations. There she managed a portfolio of projects aimed at strengthening universities and NGOs in Central and Eastern Europe, Asia, the Caucasus, USA and the Middle East. She holds a PhD in Linguistics from Kiev National Linguistic University and an MA in Social Justice and Education from the Institute of Education, University College London.